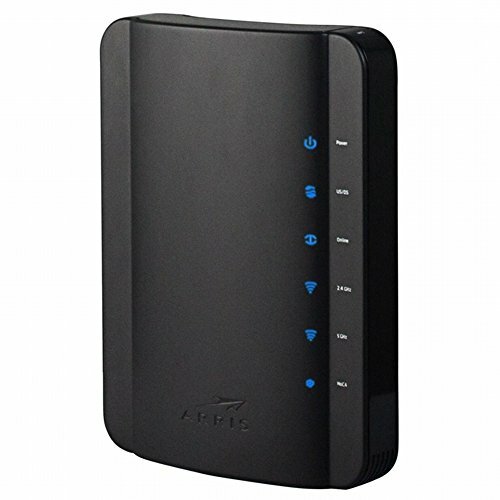 The Arris DG1670A frequently rented out by Time Warner Cable has the more modern 16x4 channel bonding for internet plan speeds up to 640Mbps. Combining a 4-port Gigabit router with wireless access, there are two 802.11n radios that give access to wireless networks on both 2.4GHz and 5GHz frequency bands. However, this router can be unreliable with slow Wi-Fi connectivity and has been reported to have easy access to “backdoor” hacking into the Wi-Fi.